Tony's Talking Pictures Blog: New in Theaters October 5, 2018 "Venom" and "A Star is Born"
New in Theaters October 5, 2018 "Venom" and "A Star is Born"
Eddie Brock is an investigative reporter who unwillingly becomes the host of a very powerful alien symbiote. Whenever Eddie is in trouble the alien creature called “Venom emerges to save the day. “Venom” is a run-of-the-mill superhero movie that is suffering from a few flaws. The first being the film doesn't take off right away. The movie spends way too much time on a slow build and, unfortunately, loses the audience in the first half hour. This is similar to the problem when Marvel launched the “Hulk” in 2003. Director Ang Lee decided to reveal the Hulk about 45 minutes into the film, by then the audience was lost. The other problems with the film include lackluster performances from the film's stars Tom Hardy and Michelle Williams, and an incoherent plot with confusing characters. In essence, what should have been a high-octane 'buddy' picture with some laughs took itself too way seriously and never relaxed to let the audience in. 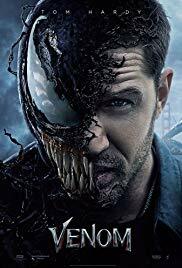 In the end, “Venom” simply had no energy, empathy or humor to sustain it's momentum. This is the 4th version of “A Star is Born,” the previous incarnations were in 1937, 1954 and 1976. This time Bradley Cooper directs and stars along side Lady Gaga in the story of an aging and alcoholic musician who falls in love with a young up and coming singer. 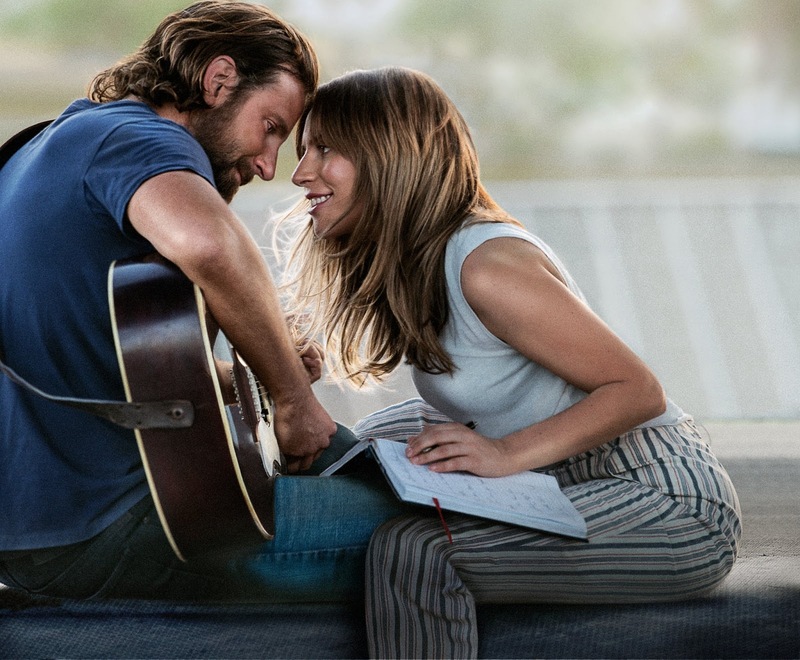 Both Bradley Cooper and Lady Gaga turn in terrific performances, with Lady Gaga offering up a beautifully sensitive and understated performance as “Ally,” the young ingenue rising up from innocence to jaded pop star. Bradley Cooper as 'Jackson Maine,' the burnt out rock star, takes us on the opposite journey as he descends into the dark abyss of self loathing and booze. “A Star is Born” offers up a terrific soundtrack and score well worth buying a ticket for. But with all that going for it, the film had its problems. It was too heavy-handed in its approach, too quick to have the main characters fall in love and really needed an ending that wasn't so manipulative. For its musical performances, “A Star is Born” gets a B and is rated R.